Home / Noreaga / Pharrell / Pharrell Williams / . @noreaga AND . @PHARRELL WILLIAMS REUNITE FOR "UNO MAS"
. @noreaga AND . 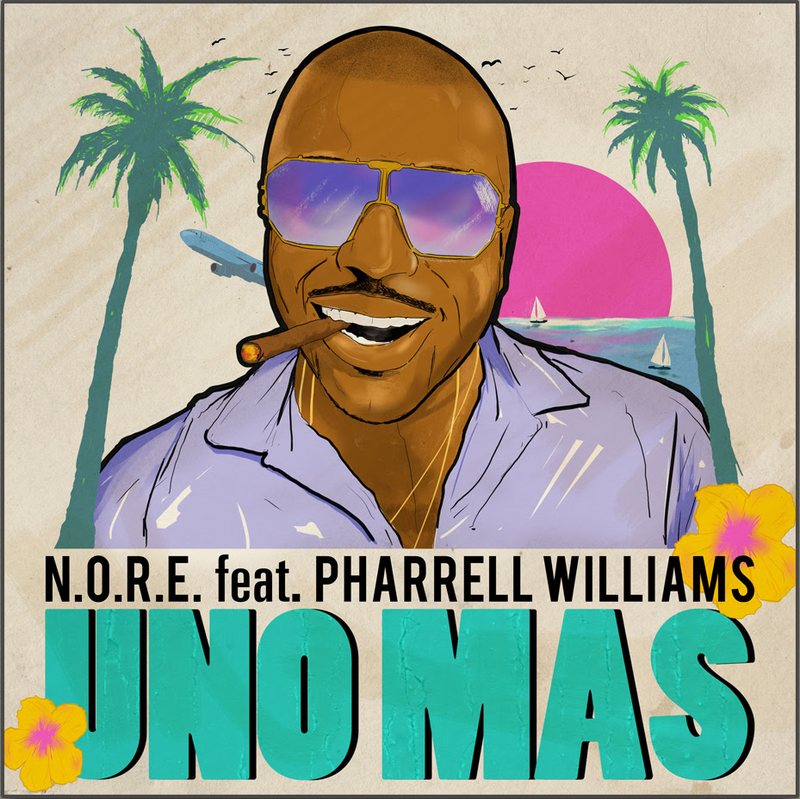 @PHARRELL WILLIAMS REUNITE FOR "UNO MAS"
N.O.R.E. AND PHARRELL WILLIAMS REUNITE FOR "UNO MAS"
This is not the first time that N.O.R.E. and Pharrell deliver a genius collaboration; in 1998, the two took the rap industry by storm with the N.O.R.E. classic Super Thug. In 2002, N.O.R.E. and Pharrell went back in the studio and recorded N.O.R.E.’s highest charting hit “Nothin’,” which served as the lead single for the platinum album God’s Favorite. The album peaked at #3 on the Billboard Top 200 Chart. The two collaborated again on The Problem (Lawwwd) off N.O.R.E.’s last project Student Of The Game (2013). N.O.R.E.’s (aka Noreaga) career started in the mid-nineties as a half of the Queens, NY based rap outfit Capone and Noreaga (CNN.) The duo’s critically acclaimed first album The War Report (1997) debuted on the Billboard Top 200; the single T.O.N.Y (Top Of New York) became an instant classic among rap audiences and remained on the Billboard Hip Hop R&B Charts for several weeks. N.O.R.E. then stepped away from rap to honor his Puerto Rican roots with the Reggaeton hit single Oye Mi Canto which peaked at #12 on the Billboard Hot 100. The album N.O.R.E. Y La Familia was eventually released in 2006. Last year, N.O.R.E. partnered with Miami’s hip hop pioneer DJ EFN to create the popular podcast Drink Champs. As described as “the most professional unprofessional podcast,” the two dive into random topics with special guests over countless drinks. Drink Champs has charted as high as #5 on the iTunes podcast charts. As a result of its impressive success, REVOLT Chairman Sean “Diddy” Combs turned the once audio-only podcast into a fun–to-watch television show, which premiered on Revolt TV on July 27.